Welcome to the Holiday Inn Express® Dublin City Centre – brand new hotel conveniently located in heart of Dublin City Centre on O’Connell Street. The Holiday Inn Express® is a modern, stylish and welcoming hotel offering competitive rates and is the obvious choice for both the business and leisure guest. With 198 bedrooms and 3 air-conditioned meeting rooms, the hotel also provides complimentary breakfast for all guests, along with free Wi-Fi throughout the hotel. The Holiday Inn Express® is only 20 minutes' drive from Dublin Airport – take any Aircoach, Airlink or 747 bus to O’Connell Street. Local bus and tram stops nearby providing easy access to the whole of the city. Luas Red Line brings you to the 3 Arena and the Convention Centre Dublin. The Holiday Inn Express® Dublin City Centre hotel is close to Croke Park, shopping districts and the buzzing Temple Bar nightlife. A taxi can whisk you to a major international rugby match at the Aviva Stadium in less than 15 minutes. Paintings by Picasso and Rembrandt are 20 minutes' walk away at the National Gallery of Ireland across the River Liffey. 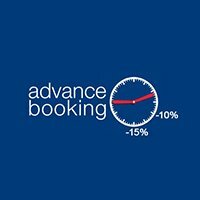 Did you know that planning your getaway in advance could save you 10% when you book the Advance Saver rate. Whether it’s for a weekend occasion or even a stopover en route, booking in advance can help you save at Holiday Inn Express. And remember, all of our rates include a breakfast buffet with hot items and free Wi-Fi. We all like getting a little extra for our money. If you are an IHG® Rewards Club member, you can earn 1000 IHG® Rewards Club points per night simply by staying at our hotel when you book our Bonus Points rate. Our 1000 IHG® Rewards Club Bonus Points package allows you to earn points faster. 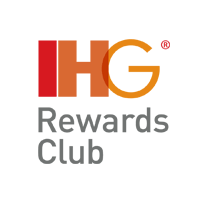 Membership in IHG® Rewards Club is free and points can be redeemed at any time for a variety of rewards, including free hotel stays starting at just 10,000 points, airline miles, name-brand merchandise and more.